It provides the greatest Energy source per gram of food. It improves the taste, aroma and texture of the food and helps in Digestion. It plays a vital role in maintaining healthy skin and hair. It protects internal organs from shock and injury. 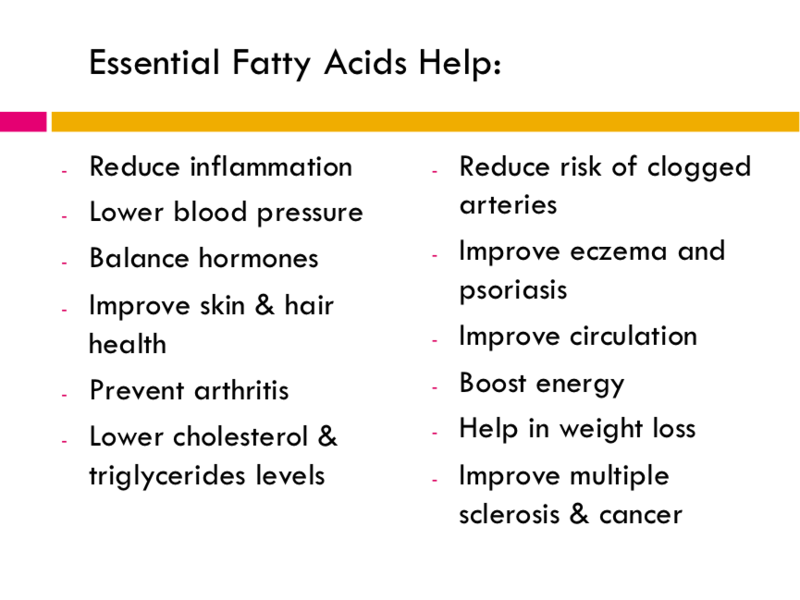 It is an essential source of Fatty Acids. Human body does not manufacture these. Vitamins A, D, E and K are fat-soluble vitamins, meaning they can only be digested, absorbed and transported in conjunction with fats. In absence of fats, our body cannot access these vitamins from the food we eat. Fact: Saturated fats and trans fat are bad for you because they raise your cholesterol and increase your risk for heart disease. But mono-unsaturated fats and poly-unsaturated fats are good for you, lowering cholesterol and reducing your risk of heart disease. Fact: The mix of fats you eat, rather than the total amount in your diet, is what matters most when it comes to your cholesterol and health. 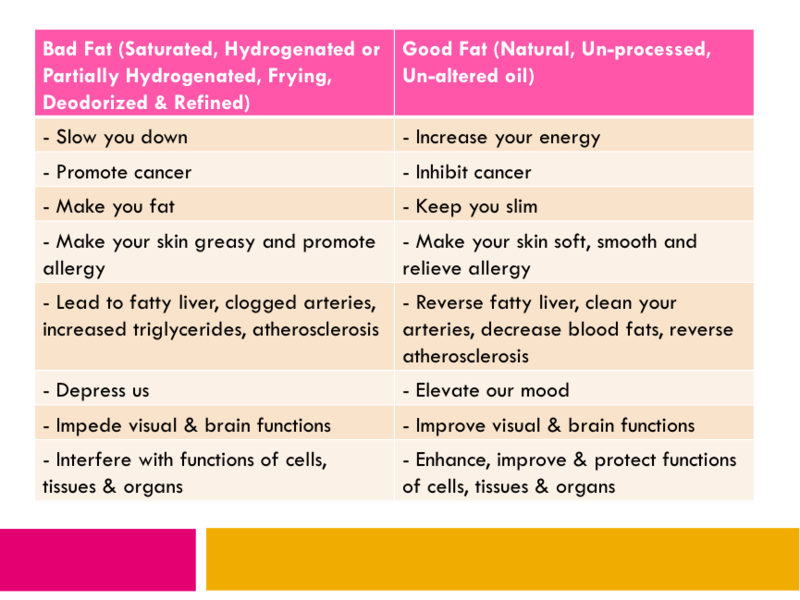 The key is to eat more good fats and less bad fats. Fact: A "fat-free" label doesn't mean you can eat all you want without consequences to your waistline. 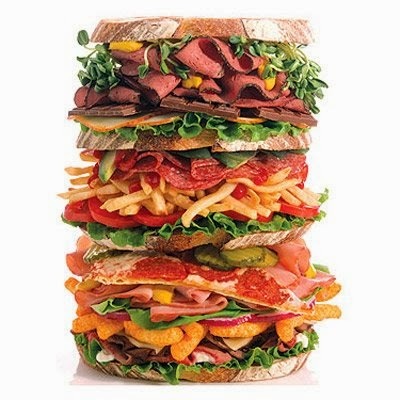 Many fat-free foods are high in sugar, refined carbohydrates and calories. Fact: Cutting calories is the key to weight loss. Since fats are filling, they can help curb over-eating. - Animal fats are solid in room temperature. Travel in sticky globs, cling to wall of blood vessels, clog arteries. - Butter and cream melt at body temperature and can be absorbed without much digestive work. - Liquid at room temperature. - Good for cardiovascular disease and protection from cancer. - Best fat to consume. But very unstable and sensitive to heat, light and air. - Contains 2 Essential Fatty Acids – Omega-6 and Omega-3. Saturated fat – Milk, butter, cheese, lard, palm and coconut oil, chicken with skin, high-fat cuts of meat. Trans fat - Packaged snack food (chips, crackers), hydrogenated fat (pastries, cookies, muffins, cakes, pizza), margarine, fried food, vegetable shortening. Mono-unsaturated fat – Avocados, oils (olive, sesame, canola, sunflower, peanut), nuts (almond, macadamia, pecan, hazel, cashew, peanut). 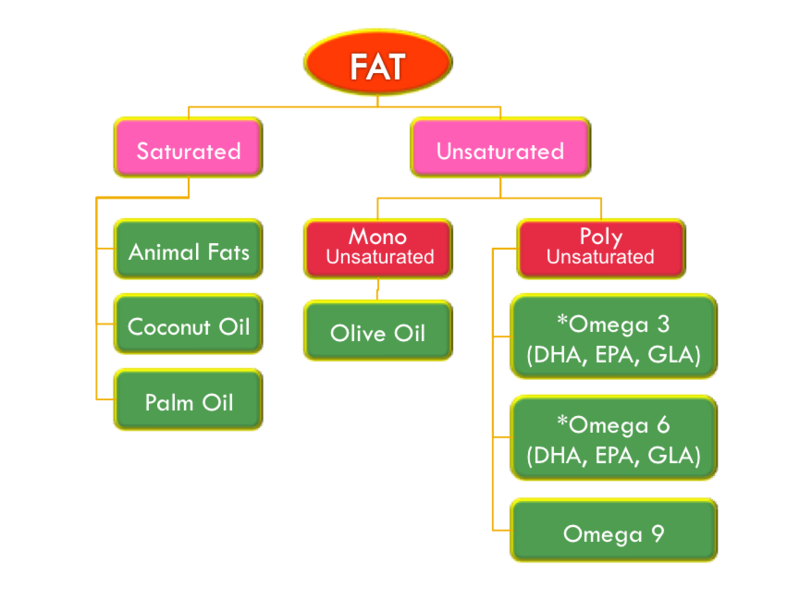 Poly-unsaturated fat – Oil (soybean, corn, safflower), walnuts, seeds (pumpkin, flaxseed, sesame), fatty fish (tuna, salmon, mackerel, herring, trout, sardine), tofu, soymilk. We need Omega-3 and Omega-6 to survive, but have to outsource as our body cannot manufacture. Omega-3 source = flaxseed oil, salmon, tuna, trout, green leafy vege. 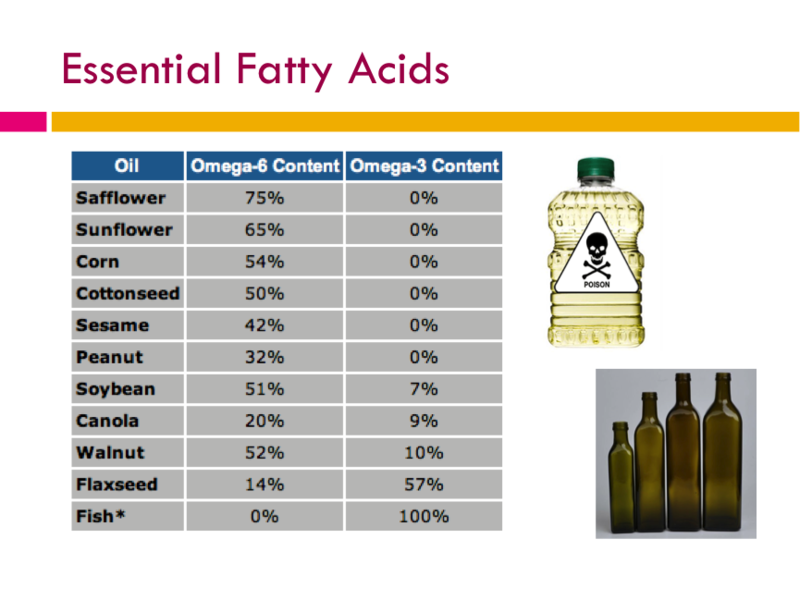 Omega-6 source = oils (safflower, sunflower, corn, sesame), almond, avocado, walnut, pumpkin seeds. 1. Avoid oils stored in clear, plastic bottles. The oils should be stored in dark bottles. For Olive Oil - look for virgin or extra-virgin (Not natural, light, pure, cold-pressed etc). The oil should be Unrefined (Not refined, bleached, deodorized, non-virgin). It should be preferably organic. The label should state expiry date, processing method, source, storage instruction etc. Please email me at askfuiping@gmail.com if you have questions or comments.